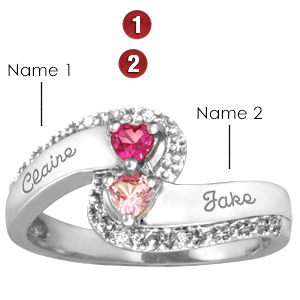 Select a color for each 3mm heart shaped genuine birthstone on the 10kt white gold Swirl promise ring. Engrave two names, up to 12 characters each. Four 1mm round accent cz stones. Import.